To achieve social acceptance for all persons on the Autism Spectrum through presentations of "Jon's Story" in the workplace, at schools, in places of worship, and area civic organizations throughout Central Illinois. 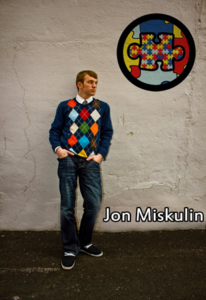 Jon Miskulin had Asperger’s, a type of Autism. But don’t think of him as someone with a disability. He would rather you consider the opposite – he had extraordinary abilities. In fact, he could show you his super powers! Jon’s story is one of hope, inspiration, and perspective. He spoke from his early days and diagnosis, to self-discovery, and the epiphany of his mission. Jon shared with others (on and off the spectrum) about how they too can embrace their unique qualities and unleash their super powers! His message was one of social acceptance with an emphasis on embracing diversity. He shared his story with small groups and large audiences. Upon graduating from high school Jon renamed his foundation H.E.A.L. (Heroes Embracing Autistic Lives), and was asked to speak at public schools, summer camps, civic and religious groups, and Teens Encounter Christ weekend retreats. If you would like to further the work of the H.E.A.L. Foundation, please make a gift by clicking on the Donate button below. If you prefer to make a donation in another manner, click here for information.